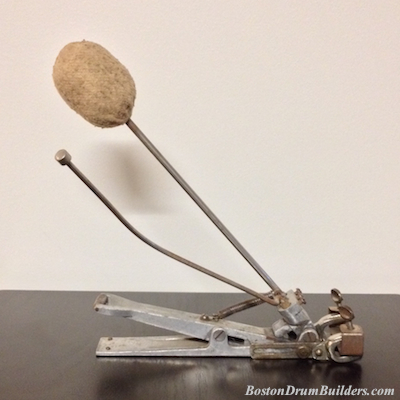 From user "Big Beat" at DrumForum.org comes an interesting Nokes & Nicolai bass drum pedal. The pedal is marked only with the moniker "No-Nic", an abbreviated version of the company name. 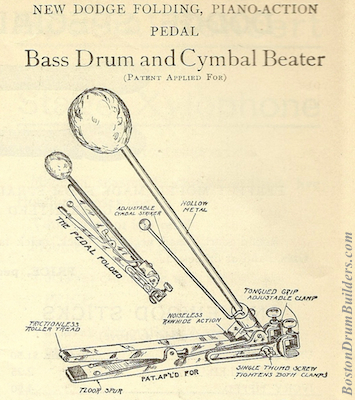 The pedal pictured above is completely different in design from the Piano-Action Pedal Bass Drum and Cymbal Beater as advertised in Nokes & Nicolai American Drummer No. 5 circa 1914. The 'piano-action' style pedal is included again in Nokes & Nicolai American Drummer No. 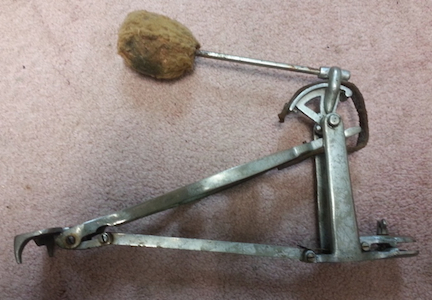 6, circa 1918 so the more modern pedal must date no earlier than the very late 1910s. 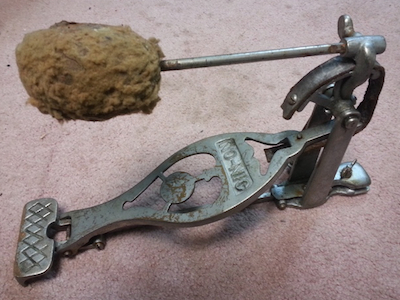 But the later No-Nic pedal is significant because it shows that the company was still evolving with the times into the 1920s even though their days were numbered. Nokes & Nicolai would merge with the Liberty Rawhide Company of Chicago in 1926 to form The Liberty Musical Instrument Company.